Raw Materials proudly presents new work by Rebecca Lowry, Blewe. In Blewe, Lowry creates poetry through the combination of text and media. 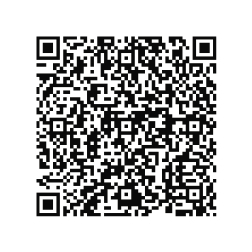 The growing ubiquity and reproducibility of Quick Response or QR codes becomes the vehicle of the poem for those possessing the technology to "read into" the graphic, two-dimensional barcode. As a writer writes with words, utilizing sense, sounds and the structure linking them, Lowry writes with objects and texts, employing their various qualities and the relationships between them with a goal to stimulate thought and provoke new understanding. Readings of the work are dependent on the associations that viewers bring to it. Says Lowry, "In my work, I create relationships between texts, objects and actions as a means of modifying and reinforcing the associations already inherent in them. In a sense, I make object-based poems." Trained as an architect, Rebecca Lowry has been pursuing an independent fine art practice since 2003. A Native of Northern California, Lowry lived nearly a decade in Boston, Massachusetts, where she earned degrees at Boston University and Harvard’s Design School. While living in Zurich, Switzerland, time spent working at the firm of Herzog & de Meuron strongly influenced her engagement in visual art. She now makes her home in North East Los Angeles. Her work has been shown throughout Los Angeles and abroad. Lowry is currently a lecturer at the University of Southern California’s School of Architecture.